Taughannock Falls State Park is a 750-acre (3.0 km2) state park located in the Town of Ulysses in Tompkins County, New York in the United States. The park is northwest of Ithaca near Trumansburg. The park's namesake, Taughannock Falls, is a 215-foot (66 m) plunge waterfall that is the highest single-drop waterfall east of the Rocky Mountains. Taughannock Falls main cataract is a 215-foot drop (66 m), making it 33 feet (10 m) taller than Niagara Falls. It is the tallest single-drop waterfall east of the Rocky Mountains. 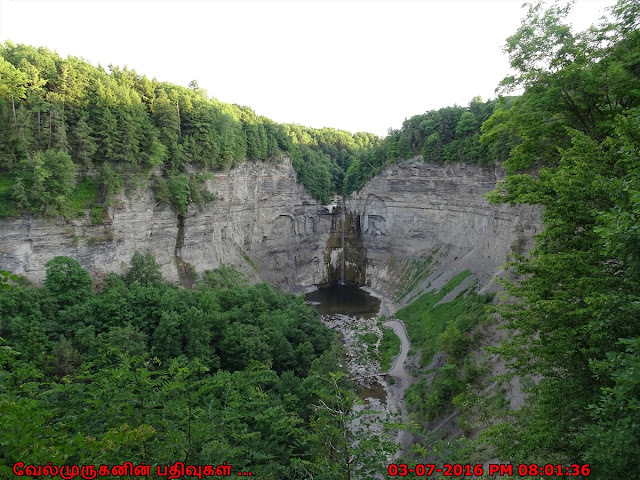 The waterfall is located along Taughannock Creek, which flows through a long gorge with cliffs up to 400 feet (120 m) high. Taughannock Falls is part of the popular Finger Lakes Region of central New York. 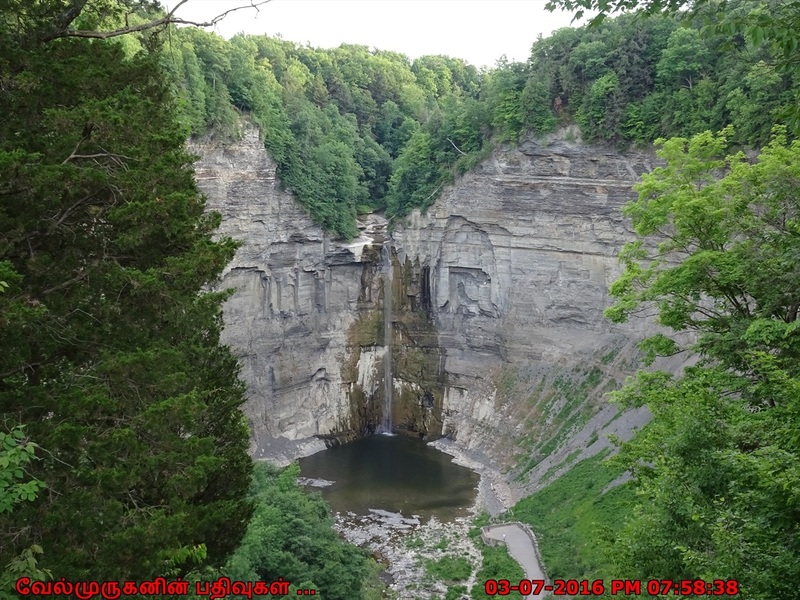 Taughannock Falls State Park offers hiking and nature trails, camping and picnicking. The park includes a stretch of Cayuga Lake's shoreline, where swimming, fishing, and a boat launch are available. In the winter, the park offers facilities and trails for ice-skating, sledding, and cross-country skiing. Views of Taughannock Waterfalls are available from two trails. 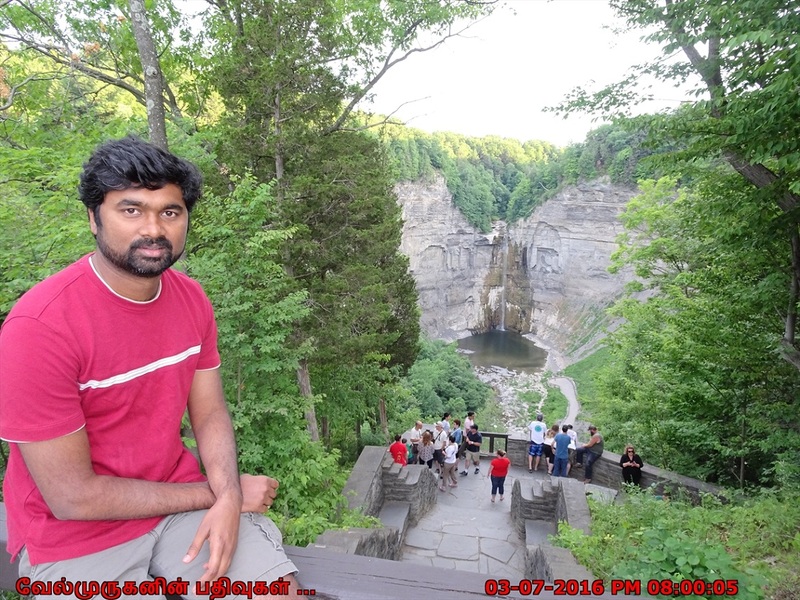 They may be viewed from below by walking along the 1-mile-long (1.6 km) there-and-back-again Gorge Trail, which also passes by Lower Falls, or they may be seen from above by following the 2.6-mile (4.2 km) Rim Trail, a loop hike which also offers views of Upper Falls. The Gorge Trail is open all year long, unlike the Rim Trail which is closed to the public in winter. Swimming under the waterfall is hazardous and strictly forbidden.